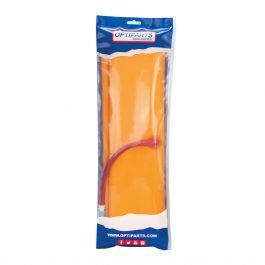 These buoyancy bags from Optiparts are made of polyurethane coated nylon and are about half the weight and significantly stronger than bags made of PVC or PVC coated nylon. 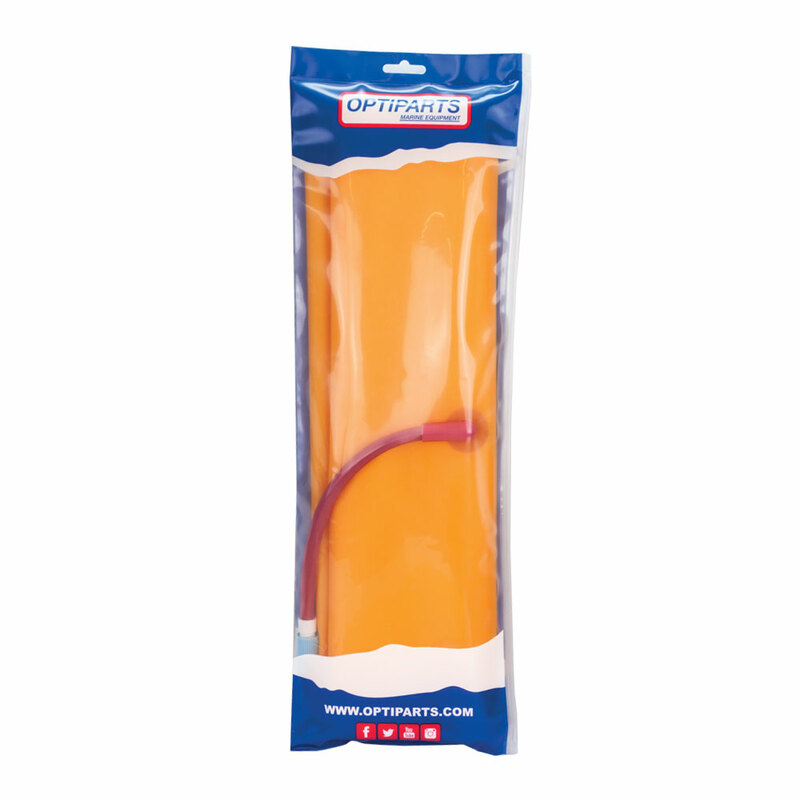 Some Optimist buoyancy bags are available with a twist lock tube valve. This valve is attached to a piece of tubing. 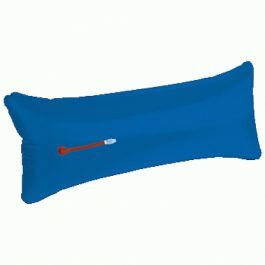 With this valve the bag can easily and quickly be inflated and deflated. 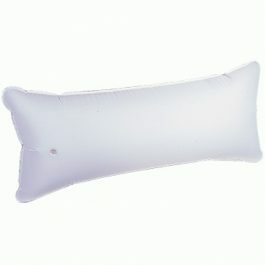 48 liter buoyancy bags are slightly heavier than 43 liter buoyancy bags but after a capsize there is a lot less water in the boat. Twist lock tube valve. 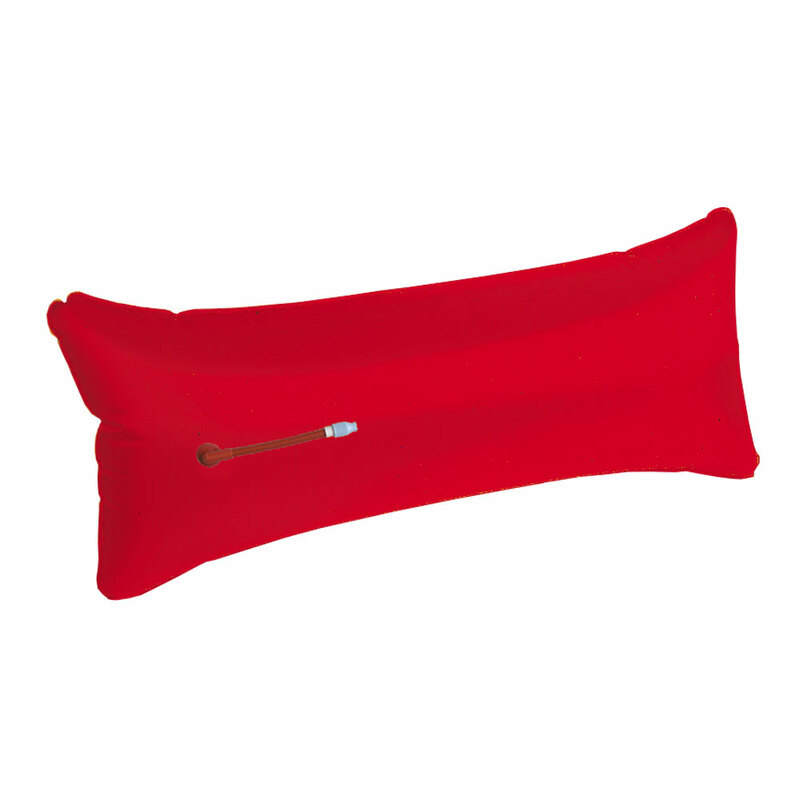 Color red, size inflated 29 cm x 92 cm, content: 48 liter. Size deflated 44 cm x 98 cm, radius 5 cm.